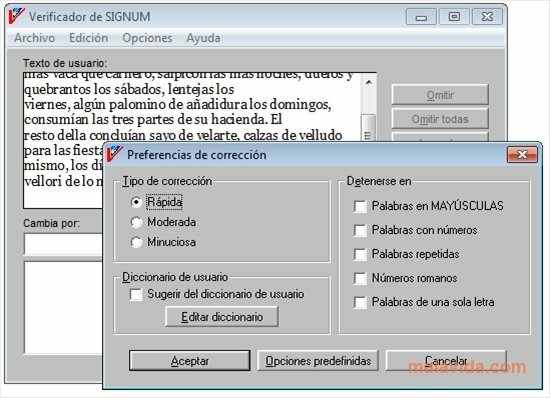 When it comes to writing many texts in Spanish and one needs to make sure that he/she doesn't repeat words or make any errors, programs like Revisor de SIGNUM can be really useful. 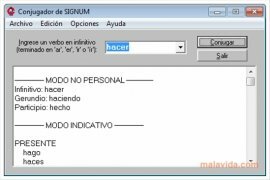 This software includes four essential utilities for any writer writing in Spanish who wants to revise his/her texts with great reliability. 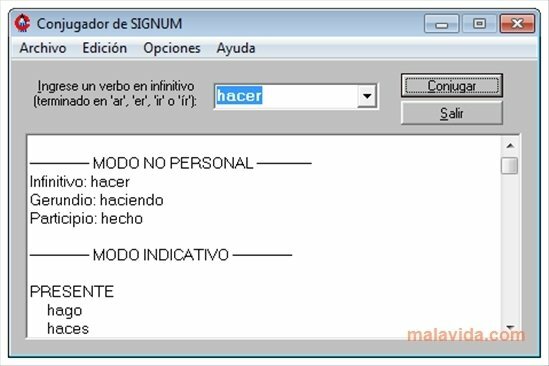 Within Revisor de SIGNUM we will find the Verificador de SIGNUM, the program in charge of checking the text in search of any spelling mistakes. 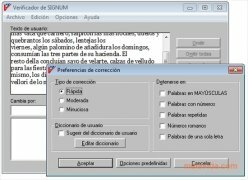 The Tesauro de SIGNUM that is the perfect tool to search for synonyms and antonyms for any words in the text, because it is a thesaurus that will manage to help us make our texts look original. On the other hand, we have the Conjugador de SIGNUM that will help us to solve any doubt that we may have as to the conjugation of any Spanish verb. 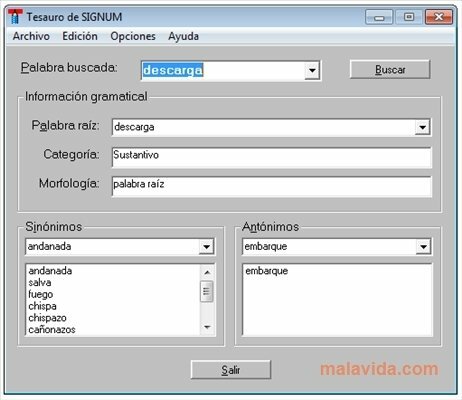 And last of all, we will find the Guionizador de SIGNUM, a tool that will come in very handy for poets, because it helps to divide words in to syllables and to hyphenate them. 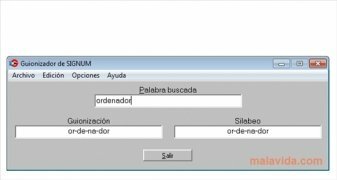 All in all, a very interesting software, with a minimalist interface that will come in very handy to anyone that has to write texts in Spanish. 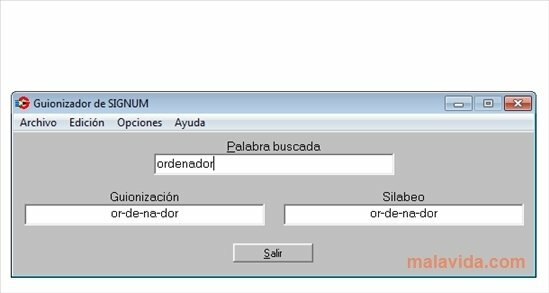 The interface can be used in English or Spanish, but it only recognizes texts in Spanish. The trial version has certain limitations.